Wear this colorful pearl bracelet with any outfit to give it a playful look! 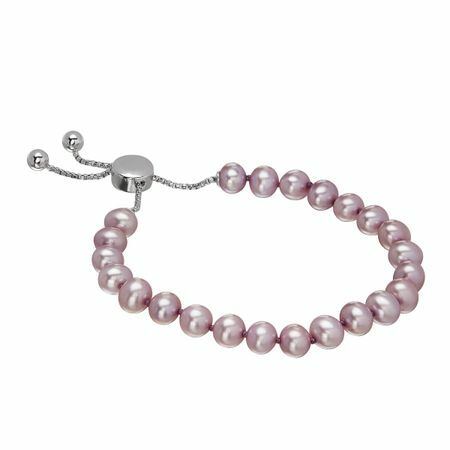 5-6 mm lavender freshwater potato pearls are strung side-by-side on a sterling silver chain. Piece measures an adjustable 5-7 inches in length and features a sliding bolo clasp.